Marshall, N.A., Bohensky, E., Curnock, M., Goldberg, J., Gooch, M., Pert, P.L., Scherl, L., Stone-Jovicich, S., Tobin, R.C. 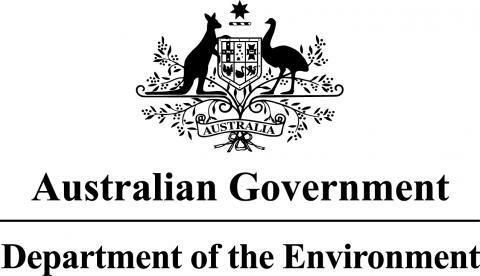 (2013) The Social and Economic Long Term Monitoring Program for the Great Barrier Reef. 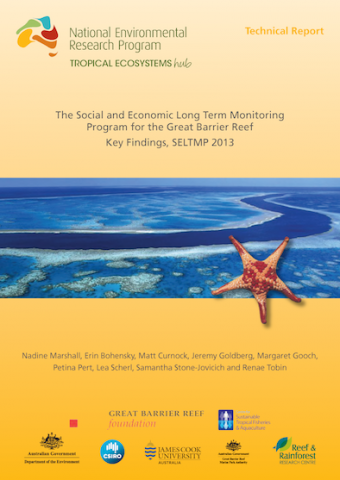 Key Findings, SELTMP 2013. 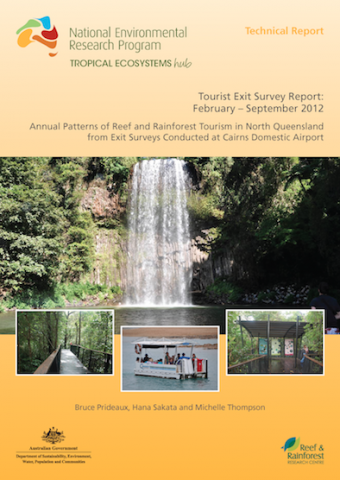 Prideaux, B., Sakata, H., Thompson, M. (2013) Tourist Exit Survey Report: February – September 2012 Annual Patterns of Reef and Rainforest Tourism in North Queensland from Exit Surveys Conducted at Cairns Domestic Airport. Project 10.2 Technical Report - What do residents and tourists ‘value’ most in the GBRWHA? 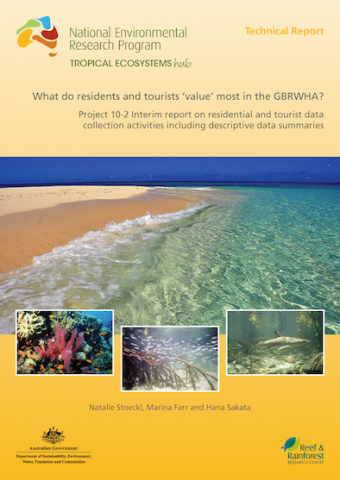 Stoeckl, N., Farr, M., Sakata, H. (2013) What do residents and tourists ‘value’ most in the GBRWHA? 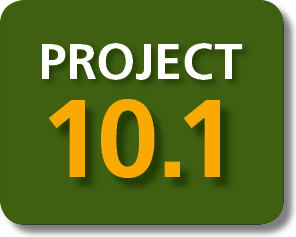 Project 10.2 Interim report on residential and tourist data collection activities including descriptive data summaries. 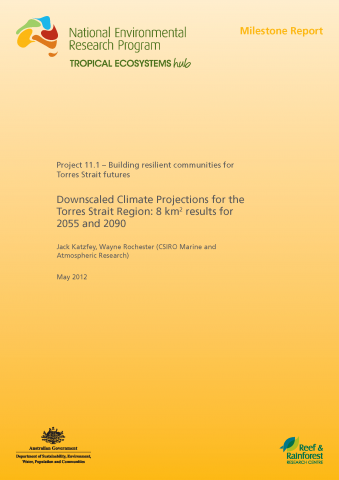 Katzfey, J., Rochester, W. (2012) Downscaled Climate Projections for the Torres Strait Region: 8 km2 results for 2055 and 2090. Skewes, T., Rochester, W., Butler, J., Busilacchi, S., Hunter, C., McGrath, V., Loban, F. (2012) Preliminary identication and valuation of ecosystem goods and services underpinning Torres Strait livelihoods. Butler, J., Bohensky, E., Maru, Y., Busilacchi, S., Chewings, V., Skewes, T. (2012) Synthesis and projections of human population and socio-economic drivers in Torres Strait and Western Province, PNG. 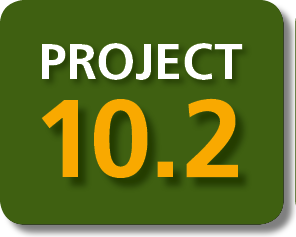 Butler, J.R.A., Bohensky, E., Skewes, T., Maru, Y., Busilacchi, S., Rochester, W., Katzfey, J., Wise, R.M. 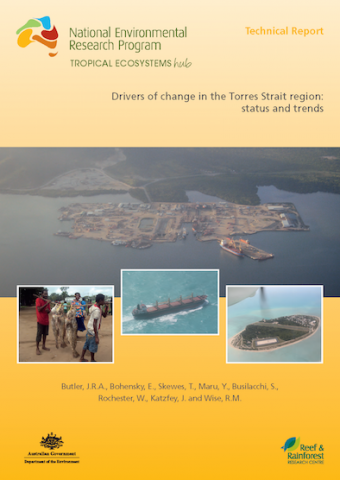 (2014) Drivers of change in the Torres Strait region: status and trends. Bohensky, E., Butler, J.R.A., Rainbird, J., Skewes, T., McGrath, V., Nai, F., Maru, Y., Morseu, F., Lankester, A. 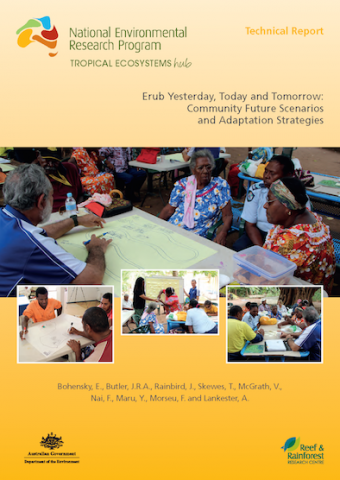 (2014) Erub Yesterday, Today and Tomorrow: Community Future Scenarios and Adaptation Strategies. Bohensky, E., Butler, J.R.A., Rainbird, J., Skewes, T., McGrath, V., Nai, F., Maru, Y., Morseu, F., Lankester, A. 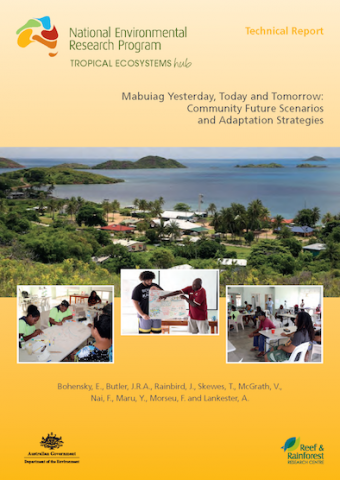 (2014) Mabuiag Yesterday, Today and Tomorrow: Community Future Scenarios and Adaptation Strategies. 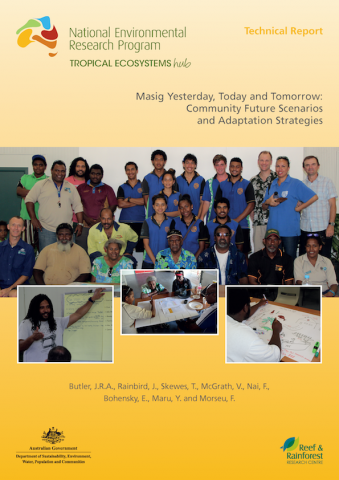 Butler, J.R.A., Rainbird, J., Skewes, T., McGrath, V., Nai, F., Bohensky, E., Maru, Y., Morseu, F. (2013) Masig Yesterday, Today and Tomorrow: Community Future Scenarios and Adaptation Strategies.